The Union Cabinet approved an ordinance to set up the country’s first national sports university in Imphal (west), Manipur. The ordinance is on the lines of National Sports University Bill, 2017 which is was introduced in Lok Sabha in August, 2017. National Sports University Bill, 2017 establishes National Sports University in Manipur. The specialized university will be the first of its kind in the country and adopt best international practices. The Manipur government has already allocated land for the proposed university. The proposal to set up the national sports university in Manipur was initially announced by Prime Minister Narendra Modi, and Rs. 100 crore funds were allocated for it in the 2014-15 budget. It also empowers the University to grant degrees, diplomas and certificates. 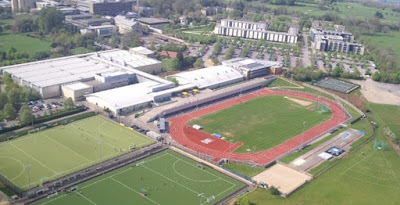 The university aims to fill the void in various areas such as sports science, sports technology and high-performance training. It would be the first Central University in India, to focus on sports education. It aims to strengthen physical education and sports training programmes. It would train talented athletes to help them to evolve into international level athletes.